To apply the Wine Pairing rule, it is important to note that certain flavors cause pleasant sensations, while others cause unpleasant feelings (even unconscious). Matching by concordance is when wine “accompanies” the pleasant feelings of a dish. Matching, by contrast, is when the wine expresses characteristics that are opposite to those of the food. 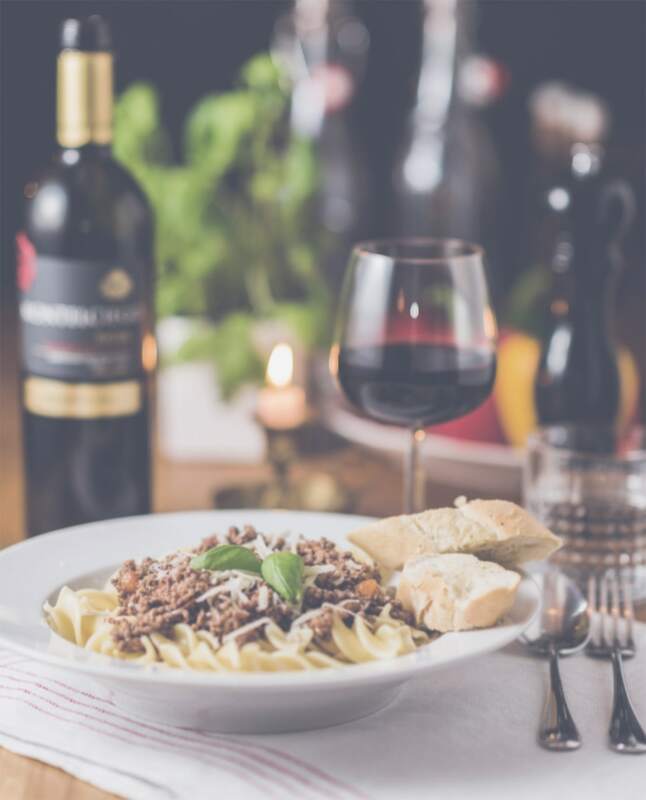 Match a red wine with the Casatiello, Eggplant Parmesan, Lamb Bolognese, Lasagna, Pasta Soup, with the Escarole Pizza Pie or a white wine with the Fettuccine Alfredo, Seafood Risotto, or with the Tiramisu’ Cake the Cream Puffs or the Crostoli. Pair your dish with the right wine.